The word Soma in the Greek language means to achieve immortality. Although we can not achieve immortality at Soma Surgery Center, our goal is to help you live a long, high quality life. The aspiration of the founders of our surgery center is to enhance the quality of life of our patients through compassionate care. Soma Surgery Center is a brand new ambulatory surgery center which is home to the latest surgical technology and treatments. This state-of-the-art facility is equipped with a modern operating room and recovery area which allows our surgeons, team of RNs and anesthesiologists to provide safe, high quality, personalized patient care. Our professional staff is dedicated to delivering excellent and convenient surgical care in a warm and comfortable environment. Our Mission: Most patients think that personalized care is non-existent in today’s medicine. We at Soma Surgery Center would like to change that outlook. Our staff is committed to providing the safest, highest quality and most compassionate surgical care for every patient. We focus on quick recovery and making patients’ experience at Soma Surgery Center as pleasant and comfortable as possible. Accreditation and Licensing: We are pleased to announce that the Soma Surgery Center has been awarded a certificate of accreditation for meeting or exceeding rigorous standards of excellence set by the Joint Commission on Accreditation of Healthcare Organizations (JCAHO) and Medicare. This is the same institution that certifies UCLA Medical Center, Stanford University Hospital, Massachusetts General Hospital, and the main teaching hospital at Harvard University. 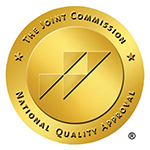 Although there are many organizations that certify ambulatory surgery centers, Joint Commission is known to have the strictest regulations and highest standards. Many ambulatory surgery centers are unable to meet JCAHO’s high standards and decide to be certified by other organizations that do not require such high performance. Soma Surgery Center is committed to delivering the safest, highest quality care to our patients.